How’s your weekend? 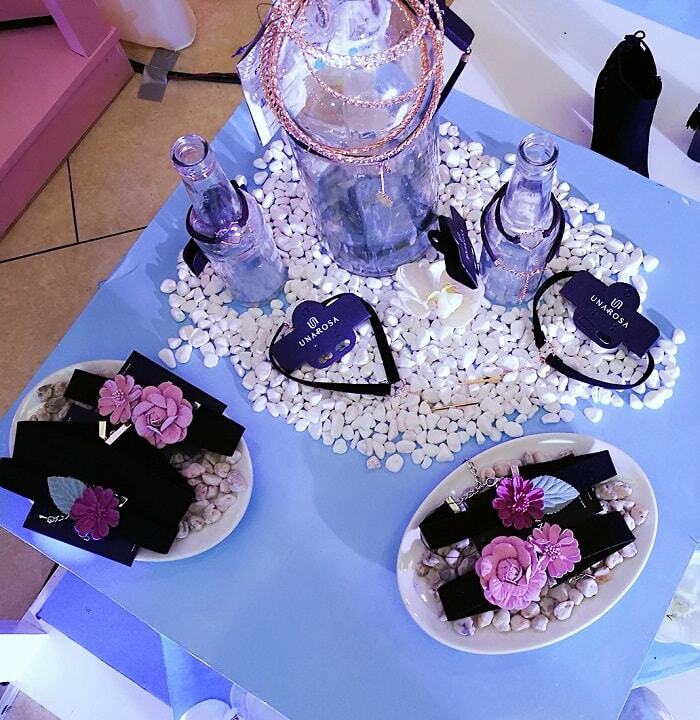 What did you ladies and gents do, while am partying with UNAROSA? My Saturday becomes an afternoon of flashy cameras, shopping parties and checking the newest collection of this high-end Philippine clothing brand. UNAROSA just like the rest of Philippine’s high-street labels are recognizing the potential power of influencers and KOLs (Key Opinion Leaders). I admit that Philippines is quite a bit late in maximizing this powerful means of connecting with your targeted market (unlike in China when the power of influencers/KOLs are in full gear). 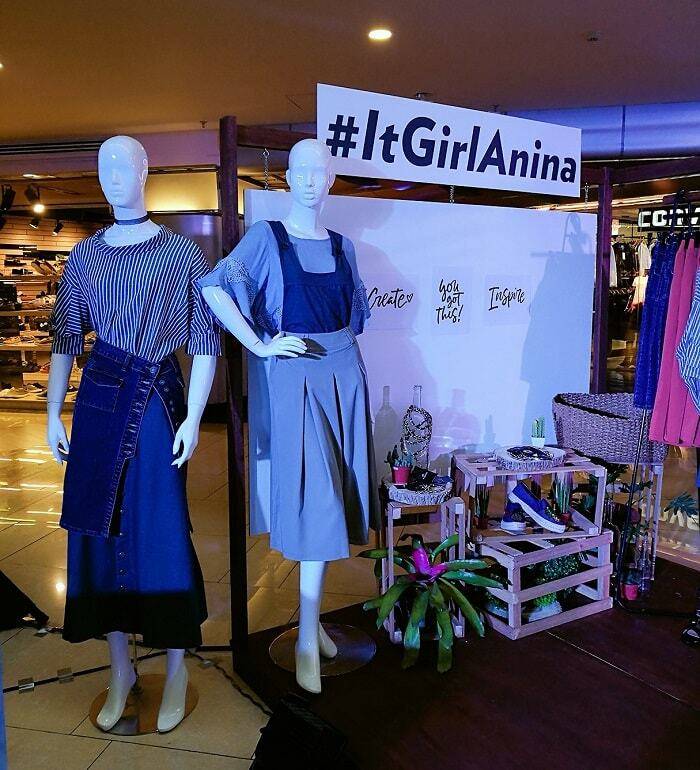 As the brand is shifting gear to the next undeniably blooming market of the fast-forward, high-spirited #GirlBosses, UNAROSA launched its newest fashion campaign #URtheNewIt. 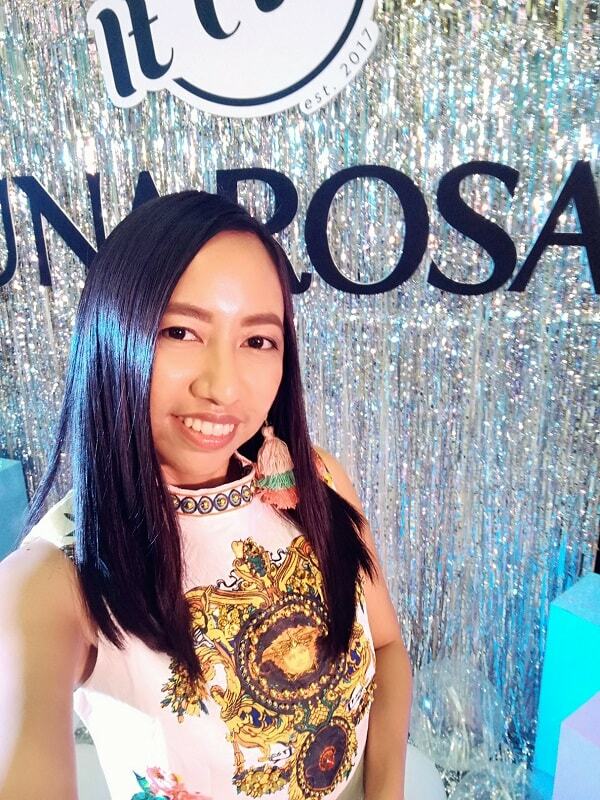 UNAROSA "It Club" was a celebration of It Girls - Girl bosses who are bold, daring and unafraid. These girls are modern Filipinas who are on dominating their respective fields. 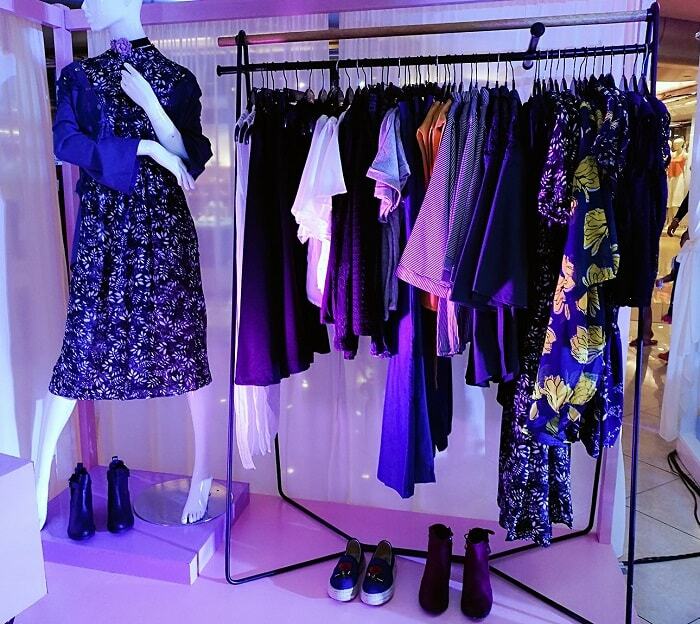 It featured the brand’s latest collection which concentrated on vintage elegance with a modern twist. UNAROSA “It Club” coveys this through the presentation of heritage and culture through clothing. 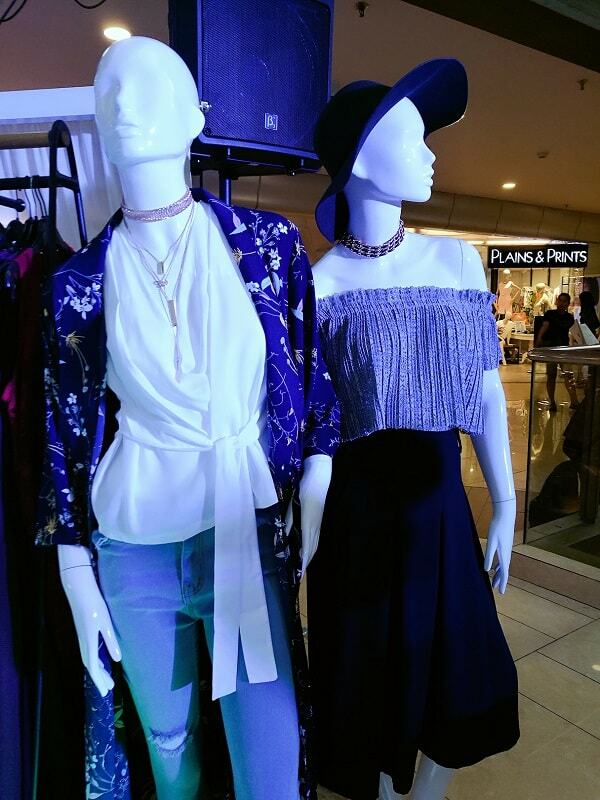 Their line features an array of new items such as poet shirts, ribbon-tied necklines, kimono sleeves, and other contemporary trends. This collection’s central points are ornate embroideries, rich tapestry patterns, hand-painted designs, and many more intricate motifs. 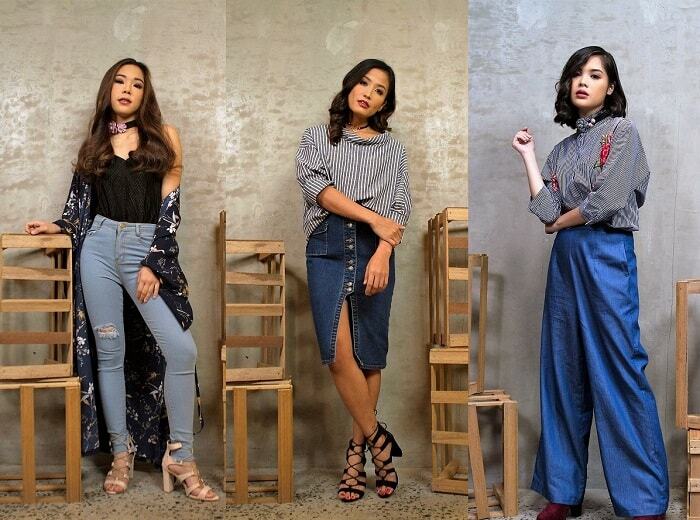 UNAROSA “It Club” seeked to not only be a presentation of the brand’s newer pieces, but an avenue for social media stars Anina Rubio, Kim Cruz and Bea Marin to demonstrate their ability to curates fun and chic outfits in a pop-up booth challenge. The three talented ladies designed their exhibits to show their personalities in a show of art, colour and style. Anina Rubio, the avant-garde local artist patterned her area after the rustic, earthy feel of nature. #ItGirlAnina is best known for bringing flora and fauna to the urban streets of Bonifacio Global City in her eye-catching murals. While Kim Cruz, the VJ with a bad case of wanderlust, decides on a tropical-themed paradise. 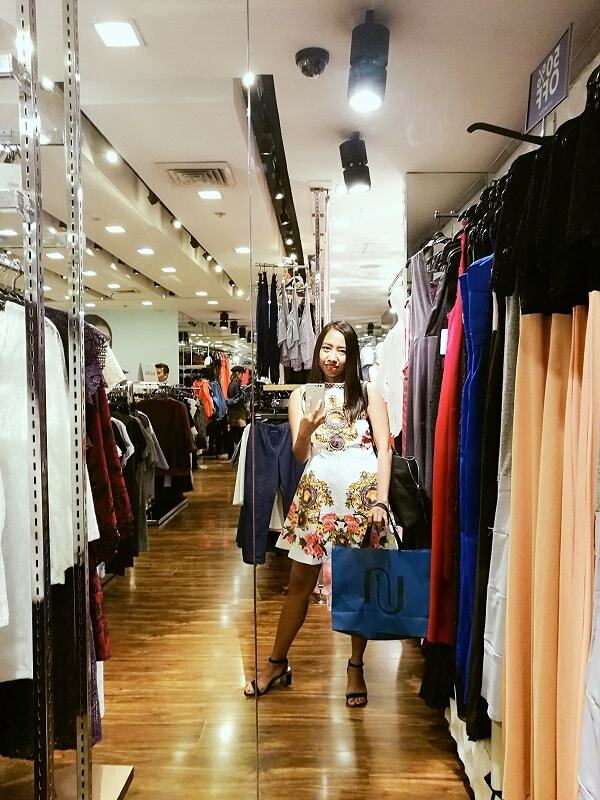 #ItGirlKim is a fashion blogger with a zesty and daring sense of style. In contrast, the eloquent blogger Bea Marin went for a more sophisticated and classic route. #ItGirlBea describes her space as fun & feminine. 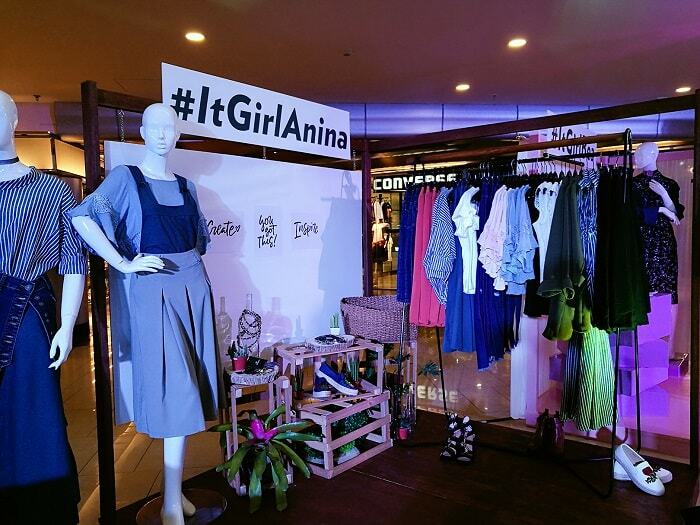 During the launch party, the brand presented three It Girls Pop-Up Booths, showcasing the It Girls top choices based on their personal taste and style. These ladies depicts the modern women of today – elegant and practical, yet young, vibrant and confident. And a quick selfie with this KOL during the party…. shopping party and store tour will be on my next post! All pieces are available in all UNAROSA Stores with branches at Shangri-La Plaza, SM Megamall, CO/OP San JUan, Greenhills Shoppesville, The Block at SM North EDSA, SM Fairview, Marquee Mall, SM City BF Paranaque, Alabang Town Center, and SM Sta. Rosa. Visit UNAROSA's Facebook page and Instagram for more updates. Look at all the cute stuff! I love the shoes with those little pineapples!!! Thanks for the post. I love these pieces. The shoes are especially cute! 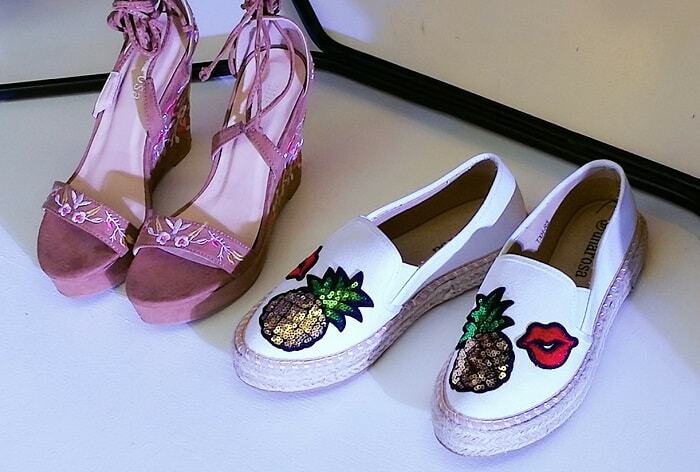 I need those pineapple shoes!! All those outfits and pieces look so amazing. 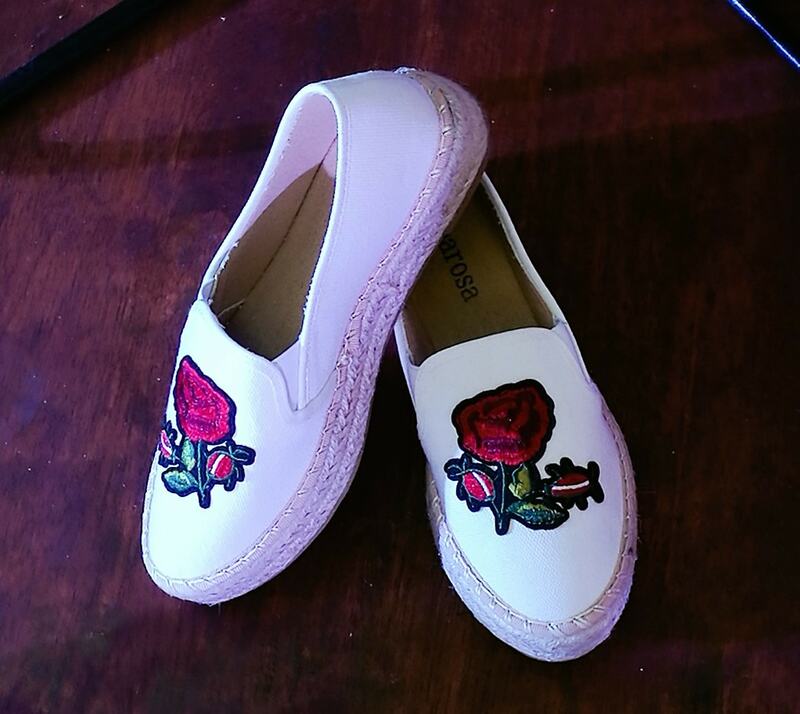 I especially like the shoes with the roses on the top. And they looked style plus eco-friendly! I love the theme vintage elegance with a twist. The three main pictures that you displayed are great outfits. I would definitely wear those. Thanks for sharing. Oh am glad you liked their collection! Wow those are gorgeous picks. Thanks so much for sharing I will check out. Please do visit their website! Thank you Isabelle, you are so sweet love! I love all the floral details!! me too! Florals are always in-style. This is a really cute line of clothing and accessories! I don't know why since its totally not my style but i like those sneakers with the sparkly patches on them! Oh wow - what a cute line! I'm a sucker for pretty fashion. It looks like you had a lovely time (great photos too!). Thank you Christie, and yes I enjoyed a lot. The owner Ms. Juvy is very kind, down-to-earth and generous lady. No wonder she is fully blessed. The design shown here are my style although im not sure whether im an IT girl or not, haha! Wish to see they have flagship store in Malaysia in near future. I'll help you rally for that! Yeah hope she will open UNAROSA Malaysia! I love fashion events, the It Girls have styled the clothes so well. Love all the stripes. Yeah, they kind of cute too. Thank you Fash! There is all sorts cute fashion out there! I love the outfits that you have here. I really like those high heel shoes with the embroidery on the front. I think it would be fun to wear with my skirt. If only I could hoard them all, then I will! Please do visit UNAROSA store, and hope you can find the best outfit you love. If you are into more classic pieces, they have it too! I don't regret having my haul. Thank you Livanies, they are so unique and cheeky fun. I have never heard of UNAROSA, but their line is so adorable! Love how sparkly and colorful everything is! Yeah they are! You should check their website for more collection. Wahh cantiknya. Stylo habis. Suka tengok kasut dan jaket kardigan tu. Ahh bleh blend dengan fesyen muslimah. Suka! "Wahh cantiknya. Stylo run out. I like to see the shoes and the cardigan jacket. Ahh bleh blend with Muslim fashion. Love!" Lots of cute clothes. I really love those pineapple shoes. This looks like a wonderful campaign. I love the style of this designer. I see some really great pieces. Thank you Tasheena. The collection looks comfy and perfect for our tropical / humid whether. I am loving those espadrilles !! I love the message that this brand stands for #GirlBoss over here :) Also love your outfit, very on trend !! Thank you Jay! I got a bit colorful and festive for the party, but that's the point! What an amazing looking collection, I am loving the embellished shoes and the blue trousers in the top picture I need them! Great post! I'm particularly loving the open front denim skirt. I would totally rock that!! Yeah, I showed it to my Mom and she said it was trending during the 80s. I LOVE ALL THE CHOCKERS!! THE FLOWERS DETAILS ARE SO CUTE!!! Wow thank you for your enthusiasm, I'm loving you all my readers! I like the collection and the shoes are so cute. They are adorable. It also made me inspired to create one very soon. I've never heard of this brand, but the clothes are very cute. I'll have to go check these out! This is a Filipino brand which is currently have physical stores in the Philippines, but you may check their website because they also ship overseas. They have some fabulous pieces! I LOVE those shoes with the sparkly pineapple on them. YES! I am actually thinking of buying those sequined patches and paste it on top of my oldie sneaker. Their pieces looks really cute...all the tops and shoes! Thanks for sharing! You are ladies are always welcome here! What a great collection of clothing and accessories. I love that denim skirt, so cute! Thank you Monica! denim is always in-style. The dress design looks so chic and it fits you well! What I love about UNAROSA is they can cater to all ages and lifestyle. Exactly! And they also have classic pieces which I love the most. They also have a bit formal dress for us Miera! I MUST have your tassel earrings! You look adorable in that dress by the way. And I am happy to see that I am stylish since I have the black criss cross lace up sandal from the first pictures! Oh thank you Jen! I have a tutorial for DIY tassel earring coming up soon! Oh my! What a cute line of clothing and accessories! I love the colors and sme of the styles - especially the shirts, shoes and that dress you are wearing! Yeah and they can easily mix-and-match! I totally dig those baggy blue pants pictured at the top of the article! I need a pair of those for sure! Yeah they are back in-style.. I think I saw that in the 70's show. I love all of the clothing in this line! But, I really love the shoes. Gah! I need them in my life. 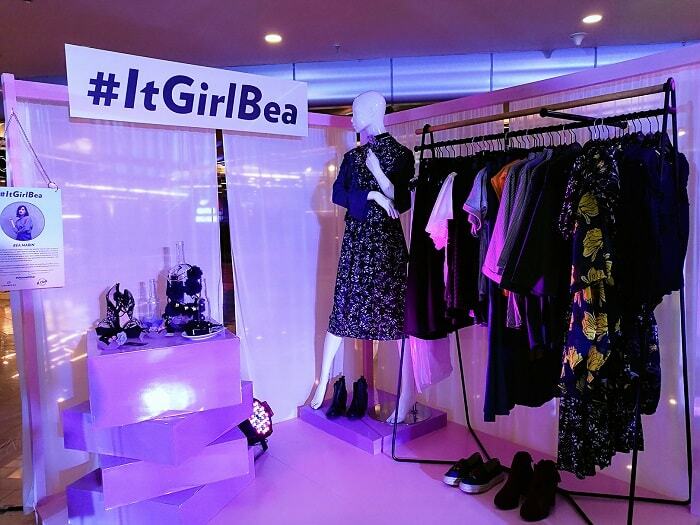 Definitely like the #itgirlBea collection! That printed dress is lovely!! I am in love with those shoes. I have a small obsession with pineapples. Ohh is that you are called Miss Pineapple?! Oh my I love pineapples too! What a great line of clothes and accessories. All of the pieces are so cute and unique. I loved the pink wedges and pineapple flats. I will definitely have to check out their website sometime. Thanks for the great tip! You are always welcome Alayna! This presentation looks so fun and the clothes are so beautiful! I haven't heard of the brand but I'll definitely keep it in mind for the future! Thank you Nicole. You may visit also their website for the other collection. These pieces are so unique! The shoes are my favorite! Oh my goodness, many of you love the shoes! What a lovely store! I want that pineapple sandals, it looks super cute. You can create your own, by getting those pineapple patches and stick it on your shoes. Great clothing line. Love all the outfit and dresses. Very colorful and they look so nice on. Thank you Cynthia for your support! Totally wearable fashions, I love clothes that are colorful but uncomplicated. Me too! And they are all comfortable and lightweight. I love all these looks :) Such an edgy, chic style! Am glad you like the designs! I love those shoes!! They look so cute and comfy! OMG I guess I have to take that shows next time I visit UNAROSA. omg I am loving so many pieces from this collection. so unique and trendy! Thank you so much Lynnette! Keep on exploring my blog. oh, wow! I love their pieces. Totally digging those pair of pineapple shoes and off shoulder top. Oh my let's nail this shoes! Thank you Miriam! UNAROSA is such a lovely clothing brand that knows what exactly a woman wants. Vintage elegance with a modern twist. That's perfect! Love these fashions. Thank you Anosa for your undying support! I love those slip one with the sparkle and wedge bottoms/heel. They are just so cool. Thank you Eliz1 Oh dear many of your loves UNAROSA shoes! Its awesome that the brand collaborated with social media stars than regular celebrities and came up with a new collection. The clothes look awesome! Yeah, local brands here are now starting to realized the power of social media influencing. Of course you can wear it! You can get a piece that will go to your pieces in your wardrobe. This sounds like it is a great campaign and the launch party sounds like it was a lot of fun. There are some really cute outfits that I would love to check out. It is awesome that there is different styles for different woman too. Thanks for sharing the information. Thank you too Rebecca, me and UNAROSA are glad that you like their collection. Thanks too. I do hope they will plan to expand outside the Philippines too. The collection of UNAROSA store looks just amazing! Those lips and pineapple shoes are killer! You look fabulous in your dress Blair! Thank you Ana! You are so sweet. Looks so fun, and that dress looks awesome on you!! Thank you dear! It was fun to wear and so festive. Really interesting set of photos. I love the set up from the event and the clothes are just beautiful. That's lovely to hear Aireona, thank you for visiting. Unique line with a different spin on fashion. It was great to see the different takes/styles of the same line. 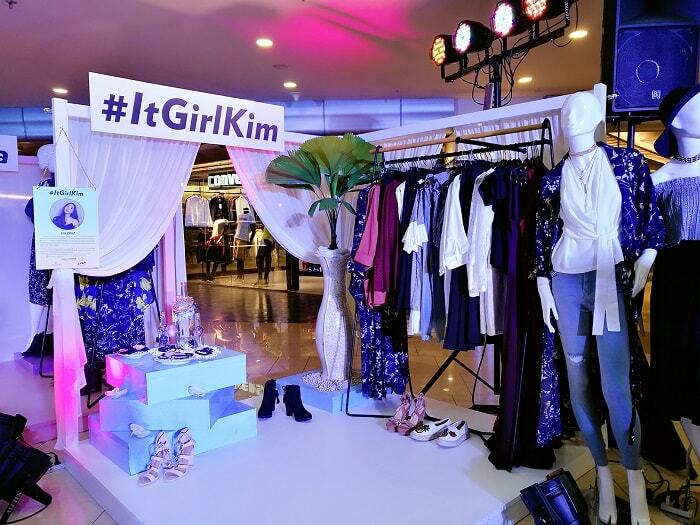 The #ItGirlKim collection appeals to me. I wasn't even aware they have SM Megamall branch. I love the shoes, its so elegant and comfy. Actually I want to grab them! I love how different the styles are because that will work for different girls as well as body types. The jean skirt with the buttons in the middle was super cute. Oh that's truly adorable. I almost buy that skirt too, but I choose a more classic dress. Thank you Aliza! You are so sweet, babe. Your posts always give me so much fashion inspiration! Ohh you are so sweet Krysti. A collection described as "vintage elegance with a modern twist" is right up my alley! All the items you show here are so cute! Love those quirky pineapple and lip flats. And again, the dress you're wearing is stunning!! I just watched Confessions of a Shopaholic yesterday and surely Rebecca Bloomwood would love to visit the place. Oh my I miss that movie! You gave me idea what to watch tonight. I need those black heels and the bardot top in my life. How playful but still classy and chic. Total love for this.